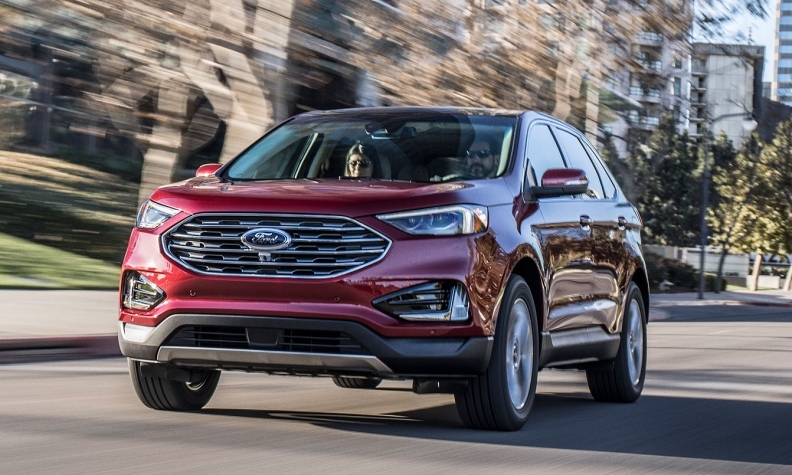 DETROIT -- The Ford Edge, one of the top-selling midsize crossovers, is undergoing slight cosmetic changes for 2019 while adding what Ford says are the most standard driver-assist systems in the segment and a new ST performance variant that will replace the Sport package. The freshened Edge, built in Oakville, Ont., and unwrapped Thursday ahead of the Detroit auto show, comes standard with a 2.0-litre EcoBoost engine paired with a new eight-speed transmission that gets 250 hp, 5 more than the current model, and 275 pound-feet of torque. The ST will get a specially-tuned 2.7-litre EcoBoost V-6 that generates 335 hp and 380 pound-feet of torque. Ford says preparations already underway for production in Oakville, Ont. The automaker says it plans to export the vehicle to 100 countries in 2019. Both the Edge and the Edge ST go on sale this summer. "Edge drivers expect a sophisticated, modern driving experience," Cristina Aquino, Edge marketing manager, said in a statement. "Bringing a host of new technologies as standard and introducing these segment-first features helps ensure customers feel more confident behind the wheel." Standard technologies include: post-collision braking; forward-collision warning and dynamic brake support; pre-collision assist with pedestrian detection; lane-departure warning; hill-start assist; and blind-spot information system with cross-traffic alert. New optional technologies include evasive steering assist and lane centreing. Ford also updated the front end, widening the grille and setting it apart from the headlights. The Edge will come in four new exterior colour choices and four wheel options. The rear includes a new liftgate design, new LED taillamps and a dual exhaust opening. Inside, the Edge gets a redesigned centre console with a new rotary gear shifter. It comes standard with FordPass Connect, formerly known as Sync Connect. 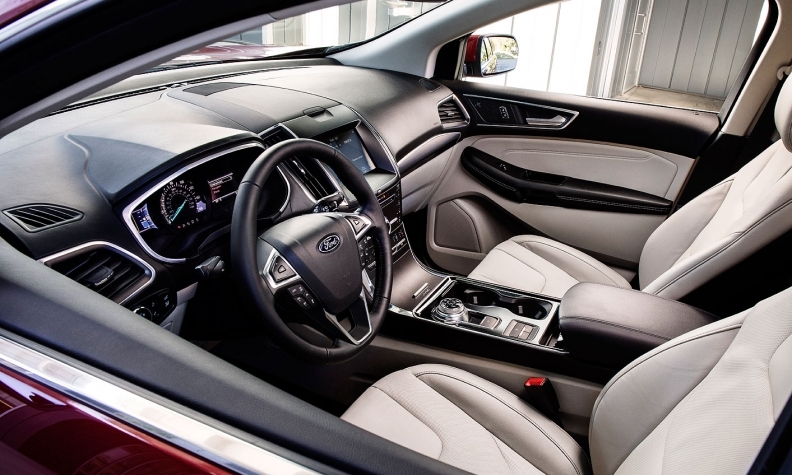 It will also come standard with a Wi-Fi hot spot that can connect up to 10 devices, a feature Ford has been rolling out on many of its new vehicles. 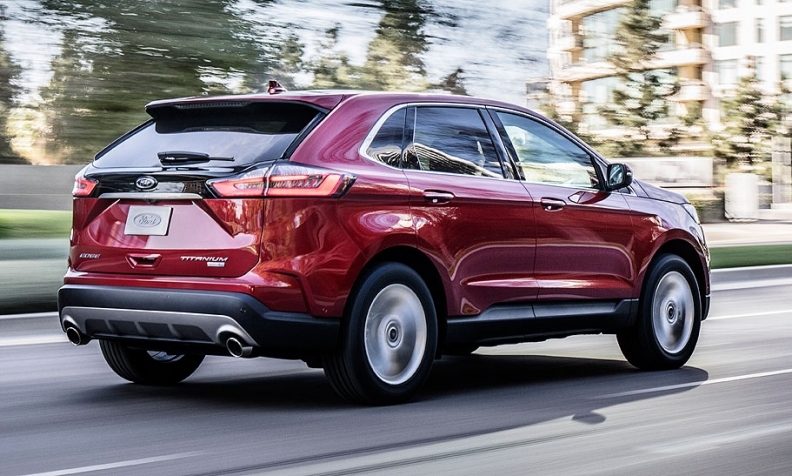 Ford says the 2018 Edge will feature improved fuel economy but declined to provide details. The Edge will continue to be offered in Titanium, SEL and SE trims. Ford launched the Edge in 2006 as the company's first unibody crossover. It added the Sport series in 2009 and last redesigned the vehicle in 2015. "It has always been a leader, a pioneer, a first mover for us as we try new things," Michael O'Brien, Ford SUV marketing manager, told reporters. Ford said it has sold 1.3 million Edge crossovers since 2006. That includes Canadian sales of 19,967 in 2017, down 2.7 per cent over 2016, according to the Automotive News Data Center in Detroit. The Edge will become the first Ford crossover tuned by the Ford Performance team with an ST badge. Ford also offers Focus and Fiesta ST variants. In addition to a more powerful engine, the Edge ST will receive a unique grille, a specifically tuned suspension, standard all-wheel drive, available performance brakes, unique badging and performance seats. It also will include a new sport mode for better front and rear torque distribution. "Edge ST puts a new animal on the road -- a performance SUV with a track mentality," Hau Thai-Tang, executive vice president of product development and purchasing, said in a statement. "From a performance standpoint, and with its SUV silhouette and versatility, it sets a new standard Edge fans will love to drive." The 2.7-litre V-6 is the most powerful in the segment, Ford says. The Edge ST will be Ford's eighth performance vehicle, in addition to the GT, Shelby GT350 Mustang, Shelby GT350R Mustang, Focus RS, Focus ST, Fiesta ST and Raptor F-150. The Edge competes against vehicles such the Honda Pilot, Subaru Outback and Hyundai Santa Fe.